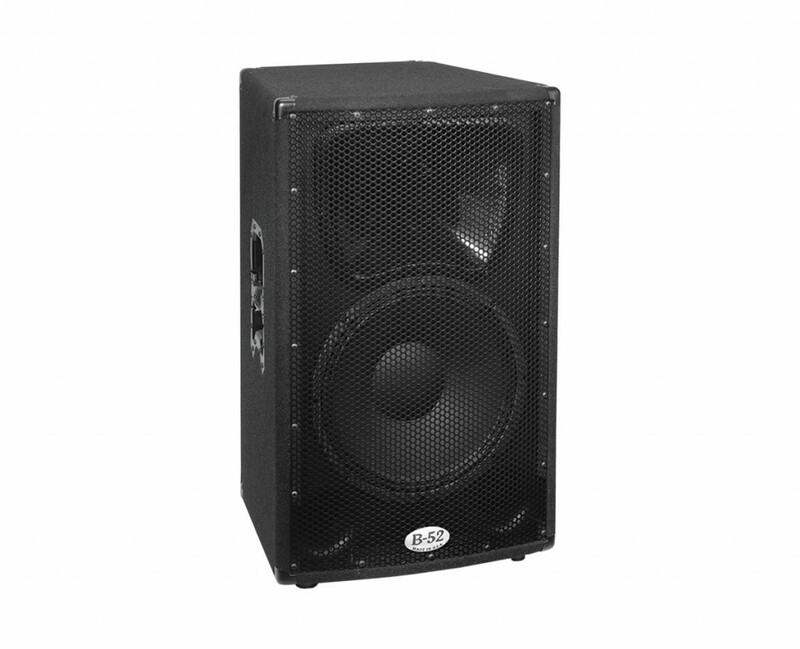 The B-52 SL-15 combines great power handling, sound clarity and deep bass from a cost-effective and compact cabinet. Ideal for mobile DJ/KJ, clubs or live sound, the SL-15 includes a 1” exit PETP diaphragm compression driver mounted on an elliptical wave guide. The B-52 15-130 loudspeaker features a 3” polyamide voice coil and 120 oz magnet structure. A pole-mount adapter allows the SL-15 to play above a crowd with strong projection.